In the UK, for purchases < GBP 250, a simple "receipt with VAT details" is enough ! Check our guidelines on how to request an invoice and how to upload them on the app. Can I use it for online purchases? Example 2: delivery in France of a purchase mad on a UK website -> the UK e-merchant must be VAT registered in France. This is the case for most e-merchants. Do I need to ask for a tax-free form in the store? What is the minimum amount that I need to spend? If you buy € 125 in one store and the next day € 75 in another store -> total is € 200 -> you can use ZappTax ! How to request a ZappTax invoice? - Request a ZappTax invoice in store right before paying for the goods. - Most stores can edit invoices instantly (this function is integrated into their cash register software). 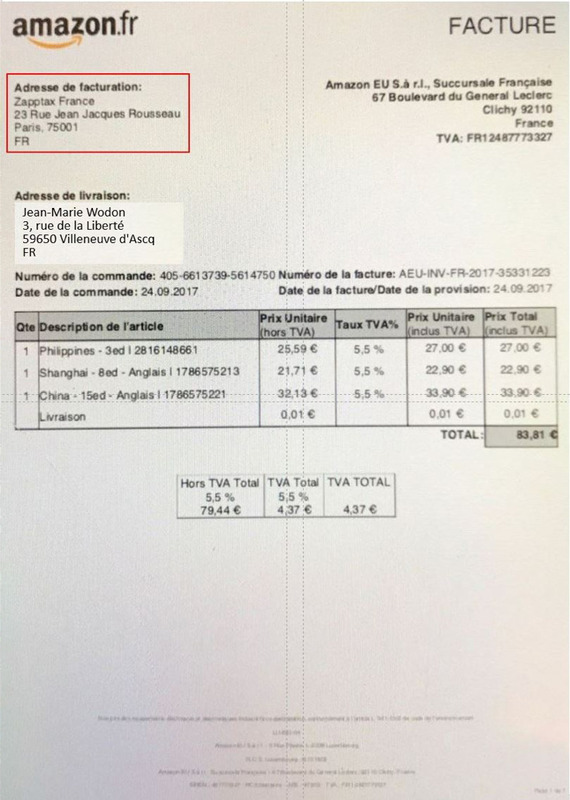 - Provide store staff with the required ZappTax invoice information for the relevant country (see ZappTax invoice address in France, Belgium, Spain and the UK). - Stores have the legal obligation to provide an invoice when requested! - Sometimes (it's rare), the invoice cannot be edited instantly in store (reasons can be multiple: staff qualified to edit invoice not available, store refusal, specific procedure to follow…). - Ask store staff to annotate the purchase receipt by indicating where/how ZappTax can subsequently request an invoice (email address, phone number...). Note: It is important that the store staff writes this down, not you! - Take a picture of the annotated receipt. - In most cases we will be able to process your refund. - Take a good quality picture of your invoice. - All mentions must be clearly readable. 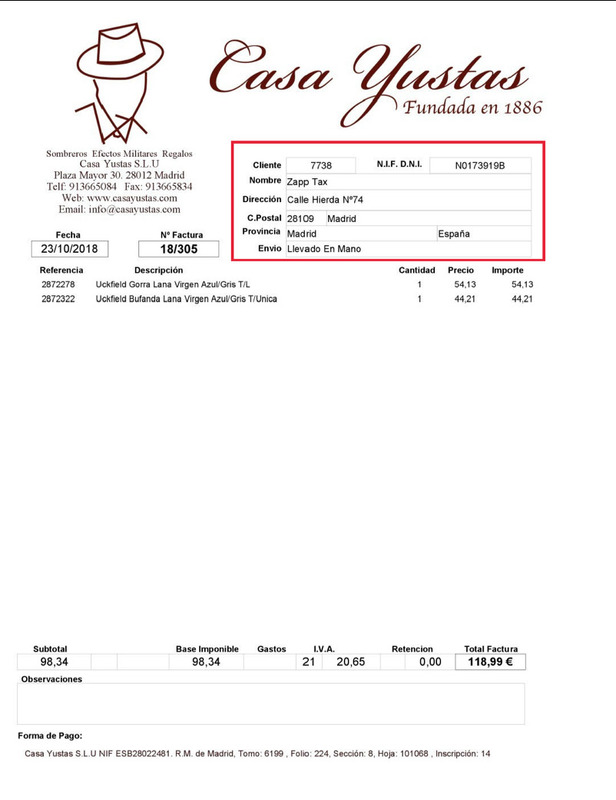 - All 4 edges of the invoice must be visible. - One page = one picture. When to upload an invoice? - As soon as possible. - Preferably the date of the purchase (especially during peak periods such as after Christmas and during the summer holiday). Can I annotate the document with the ZappTax address myself? You have received an "invoice" where only the ZappTax address needs to be filled out in a specific box? Fill the box yourself manually. You have received a simple "receipt" or "ticket"? You cannot add the ZappTax info manually. 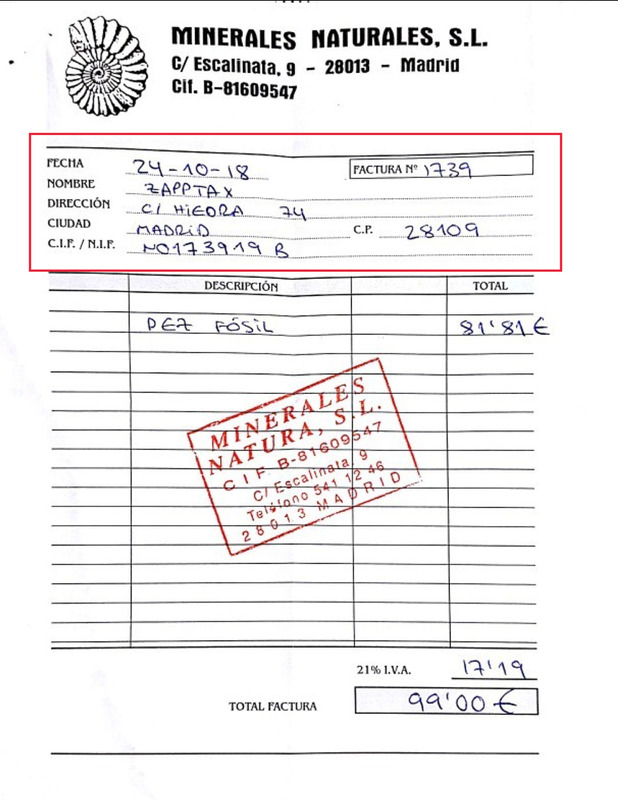 Ask store staff to annotate the purchase receipt by indicating where/how ZappTax can subsequently request an invoice (email address, phone number...). - If you are short in time (last minute shopping in the morning, flight in the evening), drop us a line in advance! - We normally process your form within a couple of hours ⏱ of receiving your request. - During peak periods, we may send you your form the day before your departure (even though you requested your form days in advance). - If you have specific constraints regarding the timing of receiving your form, drop us a line. - Send us a chat message and we will try to help you. - We have different ideas on how to remove this pain point in the future! 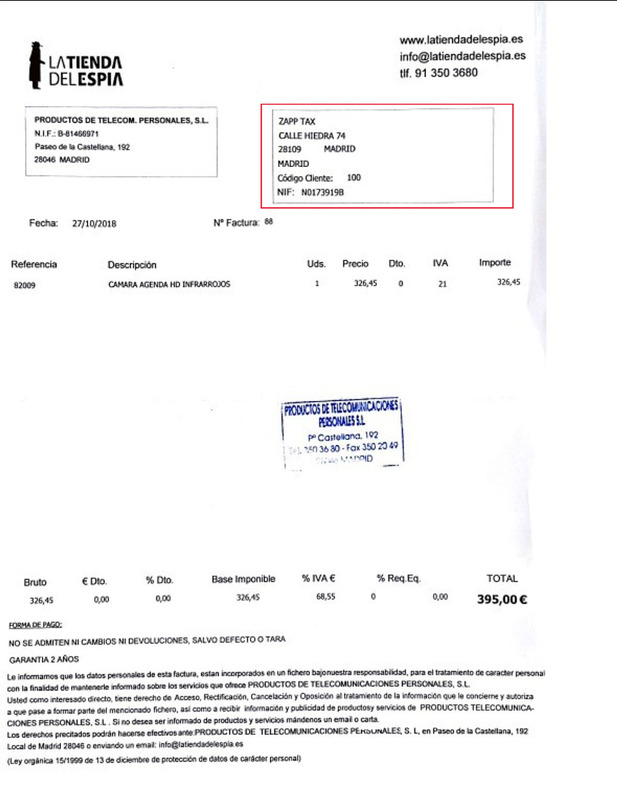 - Electronic (France and Spain): find a self-serving kiosk (PABLO in France, DIVA in Spain) and present the bar code for scanning. - Stamp: find a customs desk and present your documents to a customs officer. - For hand luggage items, in some cases, you may be required (certain sensitive goods categories or high value items) or may prefer (shorter queue, personal or expensive items) to have your form stamped after security. Keep in mind in that case that you need to carry the goods with you through security. And make sure beforehand there is an open Customs desk after security. - Electronic validation: nothing, we will be notified electronically. - Most goods 👍, as long as they are exported in your personal luggage. - In case of doubt, drop us a line in the app. - Services (hotels, restaurant, taxis…) cannot be purchased tax-free. Can I use the goods before leaving? - The goods are supposed to be unused and still in their original packaging.